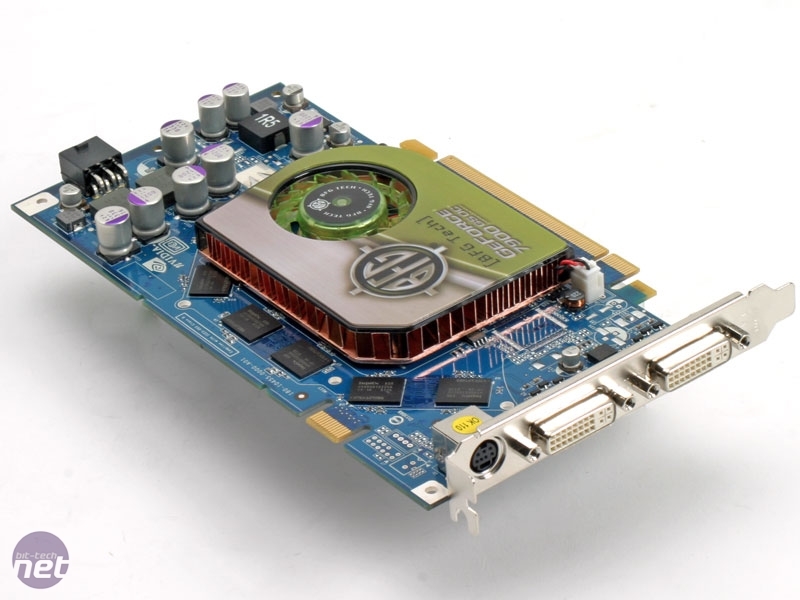 Earlier this month, NVIDIA launched two new video cards in the middle of its product lineup. 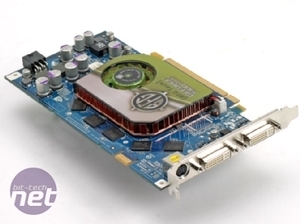 GeForce 7900 GS and GeForce 7950 GT are both based on the G71 graphics chip. We have already had a look at NVIDIA's GeForce 7950 GT, finding it to be reasonably good value for money at around £200-225. 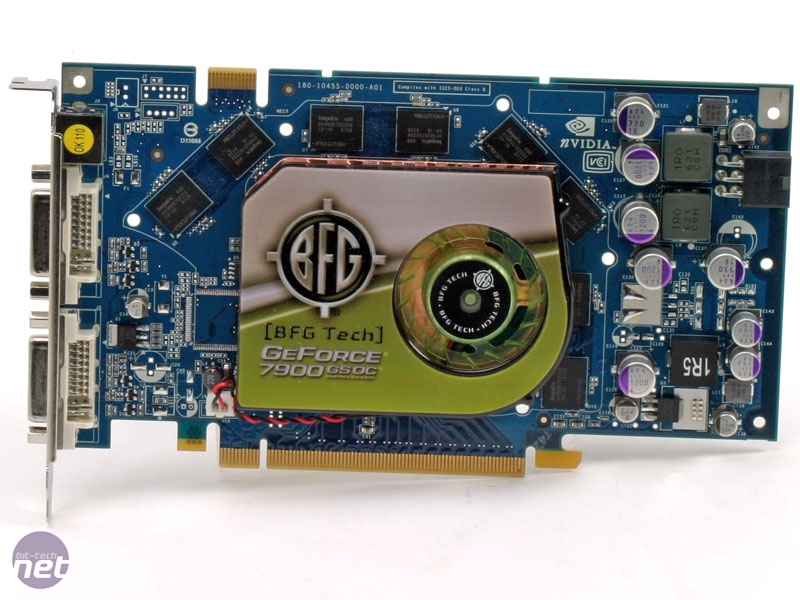 GeForce 7900 GS is a cut down version of the successful GeForce 7900 GT, with only 20 of the 24 pixel pipelines enabled. NVIDIA has also disabled one of the eight vertex shaders, meaning that there are only seven enabled. The reference clock speeds for GeForce 7900 GS are the same as GeForce 7900 GT, so performance that the new part delivers at the reference clocks is going to be slightly slower than the older 7900 GT. 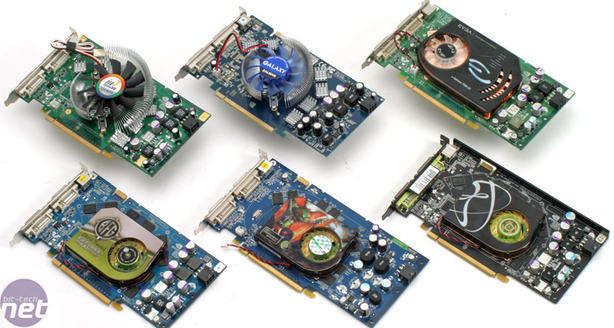 Over the last few weeks, we have been testing six different GeForce 7900 GS video cards with a range of features, clock speeds and price tags. BFG Tech, EVGA, Galaxy, Inno3D, Point Of View and XFX all managed to get cards to us in time to complete this roundup. Unfortunately, we couldn't include everyone in order to get this out in a timely fashion, but we will be looking at one more card next week. 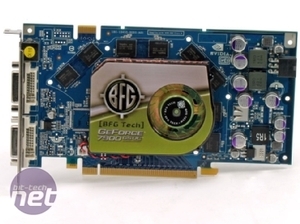 The BFG Tech GeForce 7900 GS we have here was one of the first samples to reach the UK, and so was supplied in a simple BFG Tech white box. BFG Tech representatives tell us that end users buying the card in retail should (Should?! We hope! - Ed.) get a retail box instead of this one, though, which looks just like any other mid-to-high end BFG Tech box. Our beautiful white box came with the same bundle that will come with the full retail version of the card. We can't directly comment on how well the retail box was packed, but based on the other BFG Tech video cards we've reviewed, it will be packed reasonably well. Connectivity wise, there are two DVI-to-VGA converters, a 6-pin PCI-Express power adapter and an HDTV break-out box with component out. 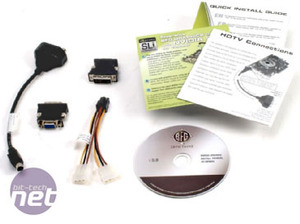 Along with that, there is a quick install guide, some information on connecting your HDTV and a driver/utility CD. 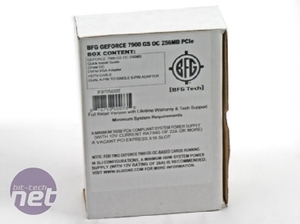 When BFG Tech announced its GeForce 7900 GS OC, the company stated that it would ship at 525/1360MHz; however, the card that we received is clocked at 540/1360MHz. Obviously, that is slightly higher than the clocks BFG Tech announced the card at, so we contacted the company and asked why our card was clocked higher than it should have been. Company representatives came back to us stating that "We are seeing a higher yield than the our standard 525MHz clocks and customers are still getting the BFG lifetime warranty." We asked for further clarification and we are told that the company is shipping all GeForce 7900 GS cards at 540MHz core, and not just a select few. This is certainly a nice change! 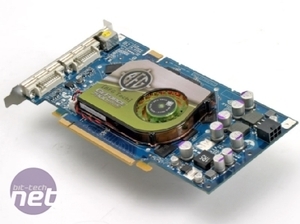 The card uses Hynix 1.4ns DRAM chips with a total of 256MB memory clocked at 1360MHz (effective). The DRAMs are attached to a 256-bit memory interface and are not cooled in any way. BFG Tech chose to stick with NVIDIA's reference cooling design, which is a bit of a shame in our opinion. The cooler can be a bit loud during operation, but it seems that NVIDIA has improved the thermal control a little - the fan doesn't seem quite so loud under load anymore. That's not to say it's silent - it is far from that - but it is better than it was on GeForce 7900 GT. There are a pair of DVI ports that both come with dual link capabilities, meaning that you will be able to drive two Dell 3007WFP displays if you see fit. There is also an HDTV-out mini-din connector that supports direct S-Video connections, while component and composite are available via a breakout box. BFG Tech only includes component out on its breakout box, but that's not too much of a problem in our eyes. 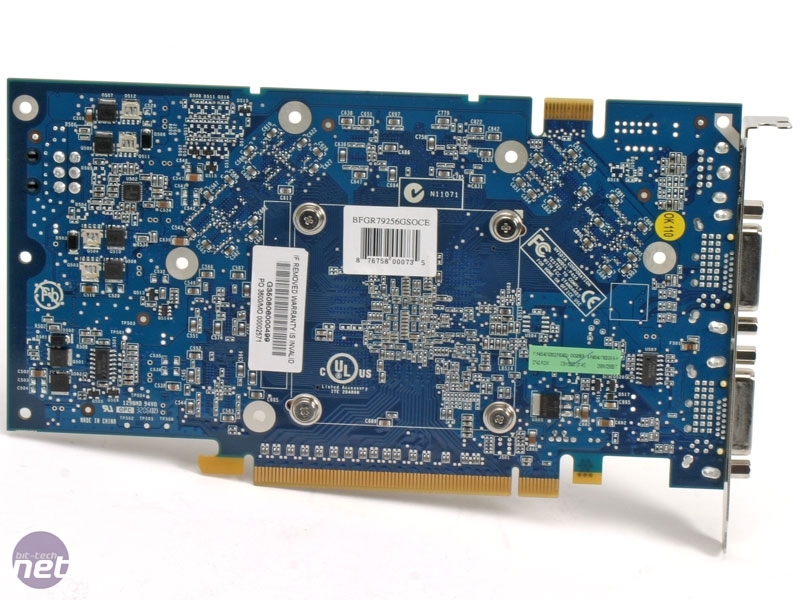 However, there is no support for HDCP on this card. 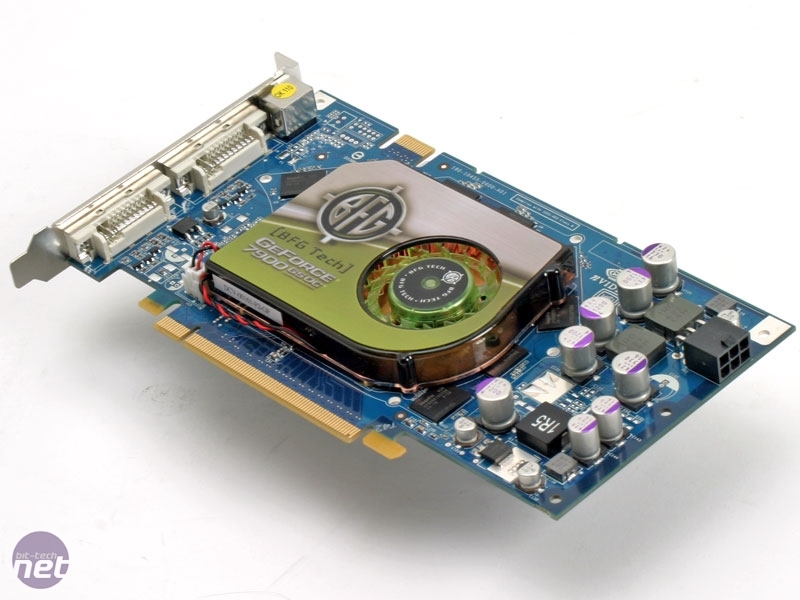 If you are looking to use your computer as a medium for playing HD DVD of Blu-ray movies, an HDCP video card is a requirement if you want to play content through either DVI or HDMI. Most movie studios will allow end users to play content at full resolution over analogue connections for now, so that consumers with older HDTVs or displays can still watch the content. This may well be locked down in the future though. Warranty: One area where BFG Tech excels above virtually all other NVIDIA video card partners is with its warranty service. 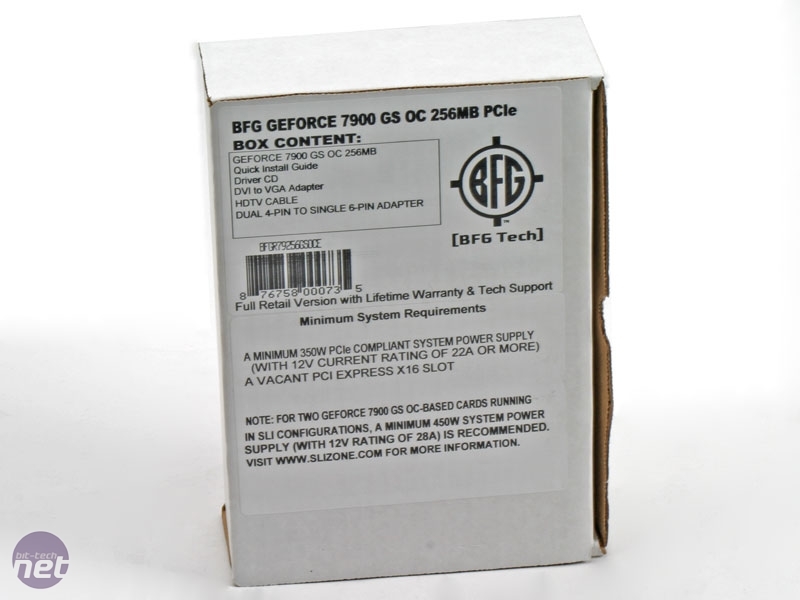 BFG Tech is the only partner to offer a true lifetime warranty, along with free 24/7 technical support on all of its BFG-branded video cards. We had heard many good things about BFG Tech's warranty service, so we gave it a try for ourselves last year - we didn't come away disappointed. The only downside to the RMA process was the time that it took to send the faulty video card to the USA and back. However, we have been informed that BFG Tech now has an RMA centre in the UK - this will dramatically reduce the time it takes to turn RMA's around for UK customers.